Lead & Nickel Free!! 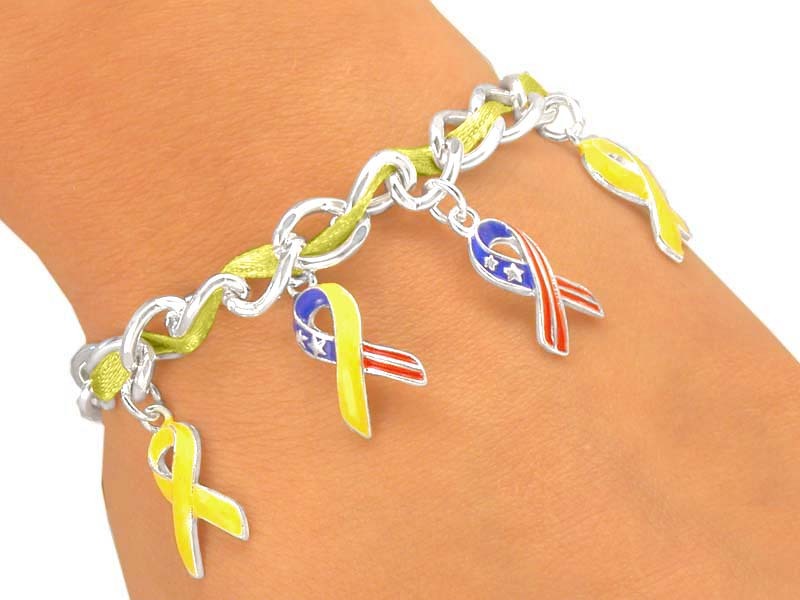 "Support Our Troops" Silver Finish Toggle Bracelet Threaded With A Yellow Ribbon And Suspending Yellow, Patriotic, And Camouflage Ribbon Charms. A Portion Of The Profits Of The Sale Of This Item Will Be Donated To "Salute Heroes" To Help Remodel A Home For A Severely Wounded, Paralyzed, Or Disabled "War On Terror" Veteran So They May Meet The Challenge Of Their Loss, And Live As Normal A Life As They Can.